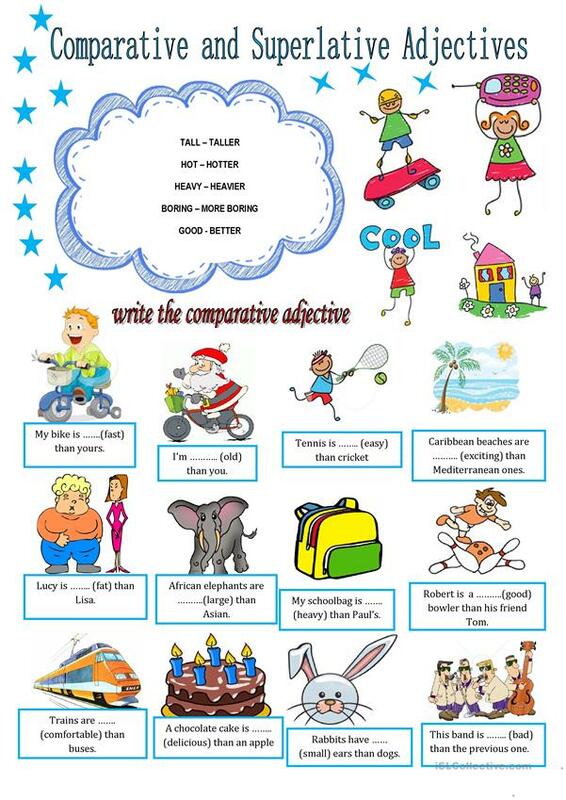 This is a revision of comparative (firs page) and superlative adjectives (second page). There are exercises to practise them. This downloadable printable is meant for high school students and elementary school students at Elementary (A1) level. 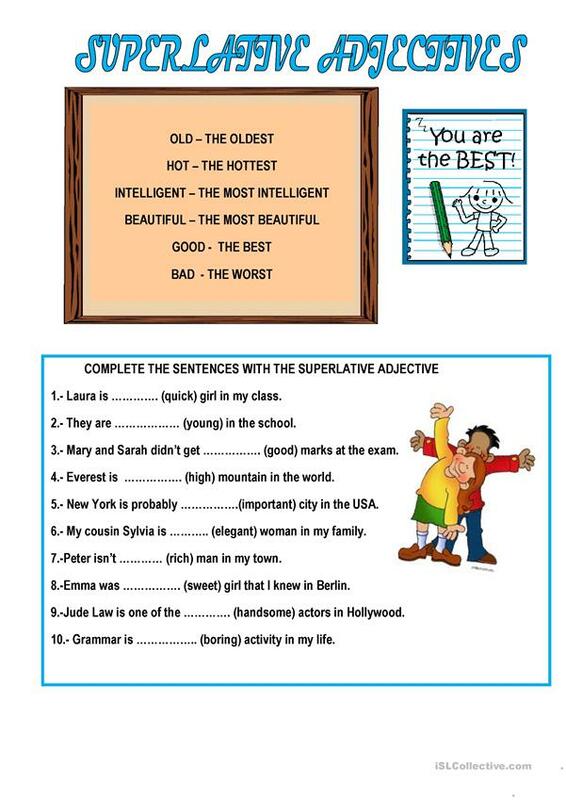 It is valuable for teaching Comparison (comparative and superlative) in English, and was designed for developing your pupils' Reading and Writing skills.